Grilled Barbecue Chicken and Pineapple Tacos are loaded with flavour and perfect for the barbecue season! I make this recipe whenever we get the barbecue out in the summer, as unlike many barbecue dishes, the focus of this dish is not only on the meat. Instead it’s the tartness for the pineapples, cooked vegetables and mixed salad leaves added at the end, that creates this fresh and satisfying dish! I love enjoying this barbecue dish in the sunshine with an ice-cold glass of Appletiser. For me, this is the perfect pairing, as the sharp flavours in the tacos are complemented by the sparkling flavours of an Appletiser. I choose to marinate chicken wings in this recipe, as I’ve found that they absorb the flavours more than other parts of the chicken. I then separate the meat from the bone and add it to the tacos. You can, however, use any preferred part of the chicken and simply marinate it the same way. Please give this recipe a try this summer and let me know what you think! Marinate the chicken in barbecue sauce and let it sit for at least 15mins. 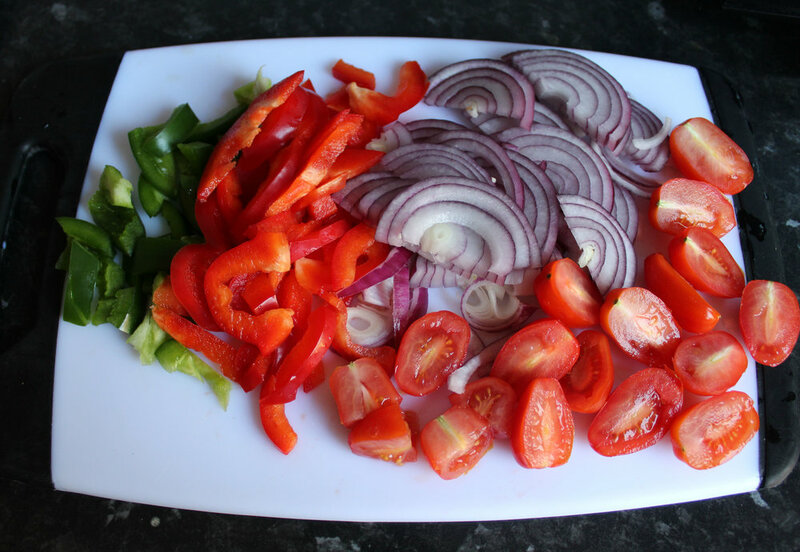 Chop the onion, pepper and tomato into slices. 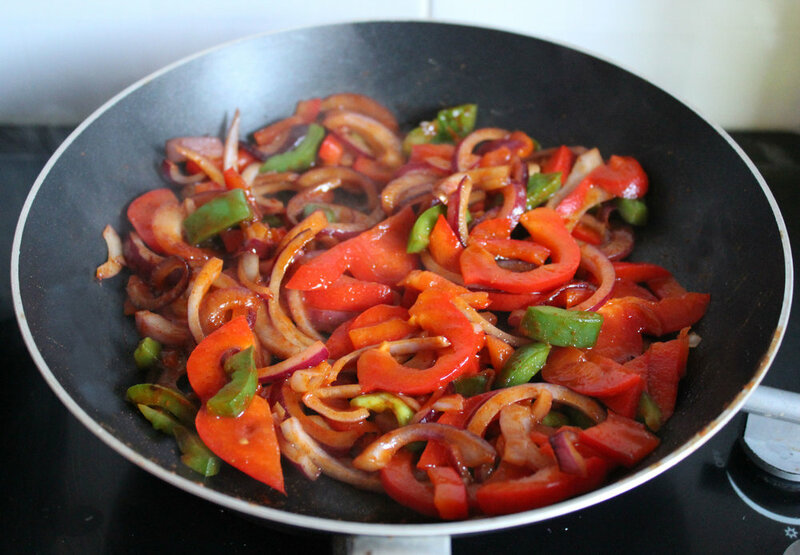 Add olive oil to a pan and then add all the chopped vegetables. Cook the vegetables until they are soft. Season with salt and pepper to taste. Next chop the pineapple into small bite-size pieces. Barbecue the chicken until it is cooked through - the time this takes will depend on the thickness of your chicken. Make sure you flip the chicken regularly to ensure it is cooked evenly. Place the pineapple chunks on the barbecue and allow to cook and take on that extra smoky flavour. Now it's time to build the tacos; fill the corn taco shells with the cooked vegetables and chunks of pineapple. Then separate the meat from the chicken wings and add desired amount to the tacos. Finish off by adding the mixed salad leaves to the top for added crunch. Take out to the sunshine and enjoy with your chilled sparkling Appletiser. I’d love to know if you do give this recipe a try and how much you enjoyed it!